In the words of acclaimed writer Bell Hooks, ‘“Living simply makes loving simple.” Stepping into the quiet interior of the Open Labs, we are greeted by the living exemplification of what this quote stood for. 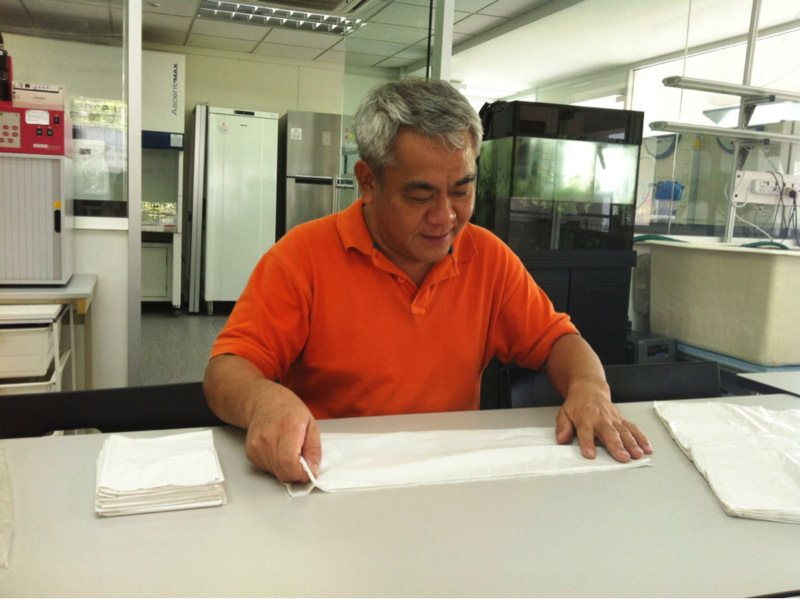 Bent over a table of plastic bags, the bubbly Mr Chang Hoon Joo was assiduously folding plastic bags into smaller rectangle pieces to line the rubbish bins of the OpenLab, his fingers moving methodically, the whole of his attention fixated on this seemingly trivial task. Perhaps what stood out most at this moment was his unassuming and patient manner in executing a task he understands as significant – however menial – to the management of our OpenLab. By the end of the interview, what we gleaned from Mr Chan was his equally endearing humility and joy for his work. Always smiling with a genial and humble air, Mr Chang is both that wise, aged senior who has found peace in his everyday work, and that wide-eyed inner child who delights in little amusements and learning. Humble and happy to continue his job unassumingly, Mr Chang claimed that he has “nothing much [about his life that] people might find interesting”. Even when we asked him what advice he would give us as students towards to the end of the session, his reply said more about his humility than about the students, “I don’t think there’s a need [for me to advise them]. I mainly do preparatory work.” Yet Mdm Heng, his supervisor, believed otherwise; she felt that us students would have much to learn from one who upkeeps the OpenLab daily – which by itself is no mean feat! Indeed, Mr Chang has been working as a lab assistant at our school for nearly 10 years – ever since RI moved to the Bishan campus in November 2004. His day starts at 7.30am in the Open Lab, a science laboratory available for students to conduct experiments for individual research projects. Mr Chang holds a diverse job scope – from preparing the requested equipment such as the waterbaths and cleaning up after each session to providing technical support to students and teachers alike when they wish to conduct presentations. Aside from that, when students are absorbed in their work conducting experiments, Mr Chang vigilantly looks out for them in the background to ensure that they keep out of harm’s way. Mr Chang has been a lab assistant for the majority of his working life, having had past experience managing other science labs before working at RI. Yet, he constantly strives to better himself too, expressing that his job remains very rewarding for him due to the opportunity to engage in continuous learning and to pick up new skills and techniques every day at work. “There are always some things that I don’t quite know, such as taking care of new equipment or even taking care of handling existing equipment better,” he remarked, “It’s a very comfortable and good job for me. I can learn lots of things from it every day.” As he approaches his his tenth year of service at our school, Mr Chang does not ask for much more – or less – and plans to continue at it until he retires – “which is a long time!” he adds on with a laugh. Our final question was whether Mr Chang had any unfulfilled aspirations that he’d like to pursue in the future. Chuckling to himself, Mr. Chang explained that his generation simply ‘didn’t have as many aspirations and baggages unlike the people today’. In his quintessentially contented manner, he added, ‘So we’ll just live each day as it passes’. As we leave the OpenLab, Mr Chang devotes his entire attention back to his work. 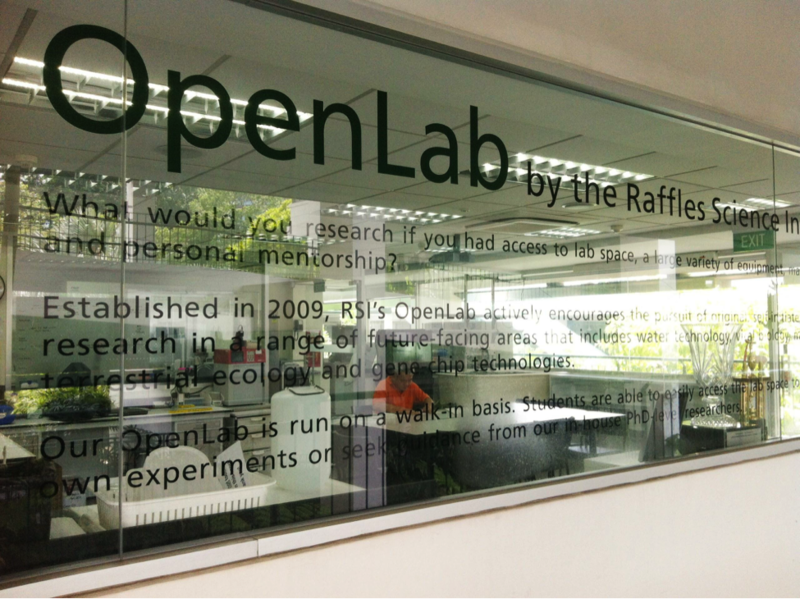 The OpenLab stands, as it always does, brightly and sparkling in the late afternoon sun. But we are left in thoughtful silence over Mr Chang’s genuine and simple words. Amidst the rush, noise and stress of JC life, his message of unassuming contentedness endures. Perhaps a greater appreciation of what we do and who we are around is not antithetical to that relentless pursuit of excellence we’re all familiar with; in fact, it is only through such appreciation, that one can live with conviction and happiness – as Mr. Chang quietly does. Appreciation Week is a collaboration between students from The Humanz Initiative (THI) and Raffles Press that bids to recognise and appreciate the non-teaching staff members who do a lot that we often don’t value enough. Do head down to our booth at the canteen walkway if you’d like to leave Mr Chan, or other non-teaching members of staff, a little note of thanks via the cards and post-its that are available. Also, there is a box for you to leave your well-wishes for our principal, Mr Chan Poh Meng, who has not been in school in recent weeks due to health reasons. If you’d like to find out how else you can contribute to Appreciation Week 2014, do email thehumanzinitiative@gmail.com.